Xenopus is a versatile model organism increasingly used to study organogenesis and genetic diseases. The rapid embryonic development, targeted injections, loss- and gain-of-function experiments and an increasing supply of tools for functional in vivo analysis are unique advantages of the Xenopus system. Here, we review the vast array of methods available that have facilitated its transition into a translational model. We will focus primarily on how these methods have been employed in the study of kidney development, renal function and kidney disease. 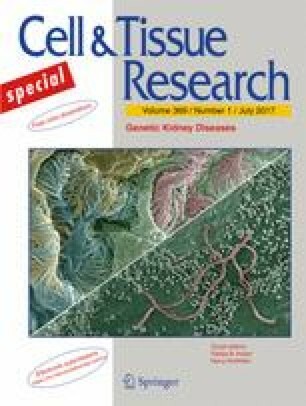 Future advances in the fields of genome editing, imaging and quantitative ’omics approaches are likely to enable exciting and novel applications for Xenopus to deepen our understanding of core principles of renal development and molecular mechanisms of human kidney disease. Thus, using Xenopus in clinically relevant research diversifies the narrowing pool of “standard” model organisms and provides unique opportunities for translational research. This work was supported by the Emmy Noether Programme to SSL (LI1817/2-1) and Project B07 of the collaborative research initiative (SFB 1140) to SSL by the German Research Foundation (DFG).